Formulated with only the finest natural ingredients, the Astara collection is like a healthy diet for your complexion. Sunny Griffin, who at the age of 70 is still considered one of the world's most beautiful supermodels, founded the brand. Griffin credits her youthful appearance to her healthy lifestyle, which has always included natural skin care. With her skin collection, Griffin has made it easy for women to supply their complexions with the vital nutrients necessary for lasting youthfulness and radiance. Start your skin on a healthy diet by discovering the Astara range. While there are many natural skincare products available on the market, no other line of formulas is made with the same approach that goes into creating Astara natural formulas. When helping her team formulate the products for her collection, Griffin emphasized the importance of using ingredients that are as pure as possible. As a result, Astara spends time searching out organic ingredients to serve as the bases for their products. By choosing certified organic extracts, the brand is able to offer formulas that are truly free of chemical impurities that can irritate delicate skin and compromise individuals' commitments to using only natural skincare products. Astara products also differ from others on the market due to the way in which vital extracts are sourced from raw materials. Many brands use a boiling distillation process, which involves exposing ingredients to heat to liberate their essences. Unfortunately, heat also causes many key enzymes and nutrients to break down, resulting in extracts that are less potent than those found inside of the raw materials. To make Astara products as effective as possible, special extract isolation procedures were developed that occurs at low temperatures. No Astara product is ever heated above 105 degrees Fahrenheit during manufacturing, meaning that there are more biologically active nutrients found in the formulas. If your goal is to have a healthier complexion while using fewer chemicals in the process, the Astara skincare collection is ideal for your needs. Explore the range now and create your natural regimen. There are hundreds of brands that rely on chemically derived ingredients to alter the condition of the skin but Astara Products rely on nature to achieve beauty and balance. Astara Products incorporate natural botanicals carefully sourced from around the world. Every ingredient that goes into Astara Products has been shown to work with the skin, not against it, to heal, repair and restore. 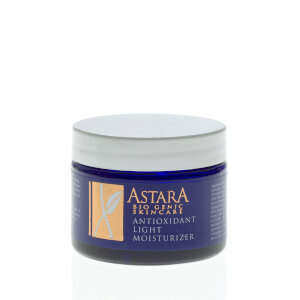 Astara Products deliver essential nutrients deep with the layers of the skin. Extracts from sea plants, various flowers, oils from nuts as well as fruits and herbs go into blends that make Astara Products so effective. These extracts are processed at low temperatures to ensure that they hold their potency and deliver the freshest, most active ingredients to the skin. Astara Products address a wide range of skin concerns and conditions. Problem and acneic skin types can achieve clear, smooth skin with the help of Astara Products. Aging skin can see a significant improvement in fine lines and wrinkles. Even dull and lifeless skin can see the return of a youthful, healthy glow with regular use of Astara Products. 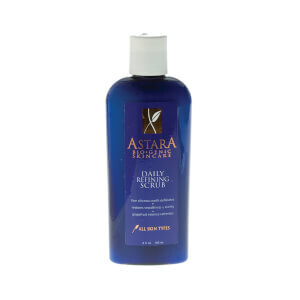 Raw botanicals and antioxidant plant extracts power the Astara skin care products. These enzyme-rich topical treatments heal and regenerate your skin, much like a raw food diet detoxifies and re-energizes your body at the cellular level. And to insure that Astara's active ingredients retain their full potency, they are never heated above 105 degrees. Like processing food, overheating a cosmetic's active ingredients - a common practice in the beauty industry - robs the formula of its restorative benefits. Sunny Griffin is the founder, and heart, of Astara. After a lucrative career in fashion and entertainment, first as a top model and spokesperson and then as a morning show co-host, Ms. Griffin realized there was a severe lack of quality natural skin care and launched Astara in 1997. To learn more about the effectiveness of her products, you can browse the line. Now in her 70s, Ms. Griffin's youthful appearance is a testament to her healthy choices in food, exercise, and skin care. Are you in search of natural treatments that can enhance your skin and well-being, too? Do you want to purify your pores and then kick-start your skin's cellular turnover to get a radiant complexion? Customers praise the Astara Blue Flame Purification Mask because it clears acne and tightens pores. It is recommended for those who live in a polluted environment, as well as those who have oily and blemish-prone skin. Perhaps you're looking for a natural formula to prevent the signs of aging. Try the Astara Activated Antioxidant Infusion. Customers rate it highly and confirm that it significantly improves their complexion. Infused with an activated botanical complex contained within organic borage seed oil, the treatment deeply penetrates your skin to reverse free radical damage. Are you eager to minimize lines and reduce puffiness around your eyes? The Astara Botanical Eye Treatment naturally firms the periorbital area and customers report it absorbs quickly, softens the skin, and smells great. For more insight into Astara products, peruse the pages of the Astara Reviews.